Wiremold raceway is the ideal solution for routing and protecting fiber optic, UTP and other low voltage cabling- up to 50V. 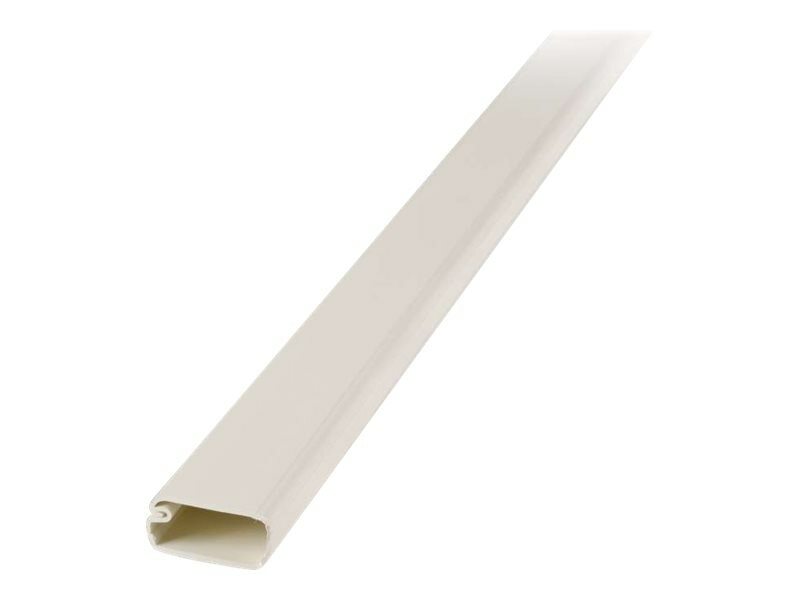 The Uniduct raceway features a co-extruded, flexible, PVC hinge that prevents cracking and splitting even after numerous openings and closings. The one-piece latch allows cabling to be secured within the raceway. The volume of this raceway will accommodate one Cat5e or Cat6 cable, one RG6/U coaxial cable or two zip cord fiber optic cables for 40% fill. This raceway is easy to install, and the smooth plastic finish, which is paintable using latex paint, ensures a match to the installation environment.